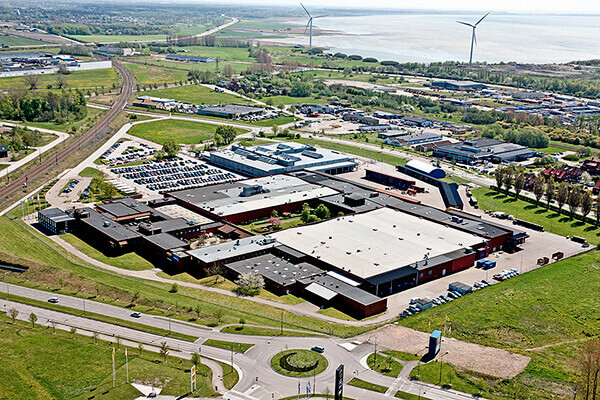 Alfdex is a 50/50 joint venture between Alfa Laval and Concentric AB based in Landskrona, Sweden. It manufactures centrifugal separators which remove oil droplets and soot particles from the vent gases of diesel engines and return them to the sump. Since production started in 2004, Alfdex has supplied over a million separators, making a major contribution to the environment by enabling trucks, buses and off-road vehicles worldwide to meet ever stricter emission policies. The latest generation Alfdex separator is significantly more efficient than earlier models and can handle a greater proportion of the ventilation gas in diesel engine crankcases and exhaust pipes. An extra benefit is that it reduces oil consumption with no external discharge. The design is 99% efficient in normal driving conditions and requires no maintenance or servicing throughout the life of the engine. There is already a wide variety of legislation at regional and national level aimed at reducing emissions from transport and machinery. North America, Japan and South Korea already have set limits for the oil content in crankcase gases. In Europe the legislation is called Euro-6 and will come into force in 2014, regulating vehicle emissions and other conditions. PO Box 506 Instrumentgatan 15 SE-261 24 Landskrona Sweden.